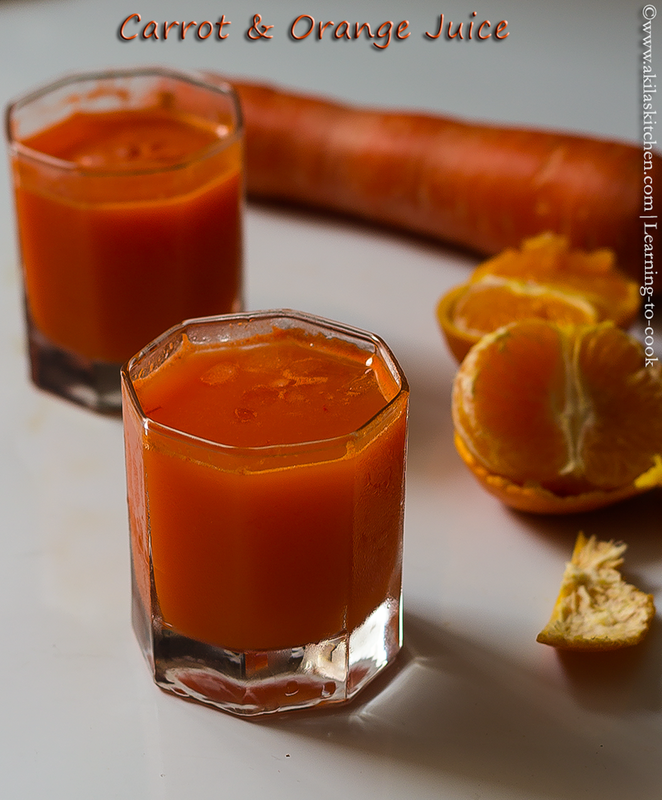 Carrot and orange makes a great combination to prepare juice. In my office canteen, they used to prepare different combination of fruits and vegetable juices. I always go either for carrot juice or ABC Juice, but one day saw them preparing this juice and thought of trying it. So I ordered this carrot and orange juice and it was really delicious. So I started preparing this at home and everybody loves this combo at my home also. So try this at home and drop your comments. 1. 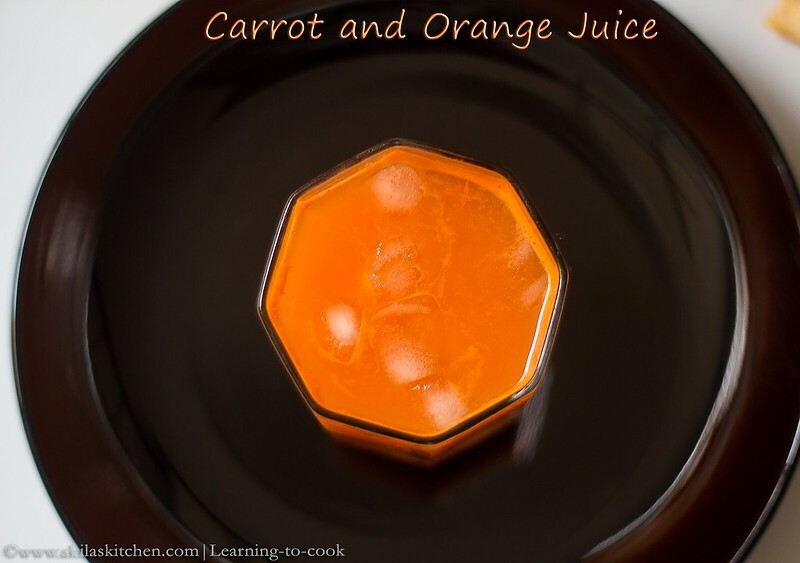 Add carrots and oranges in the juice extractor. 2. Serve the juice with ice cubes. 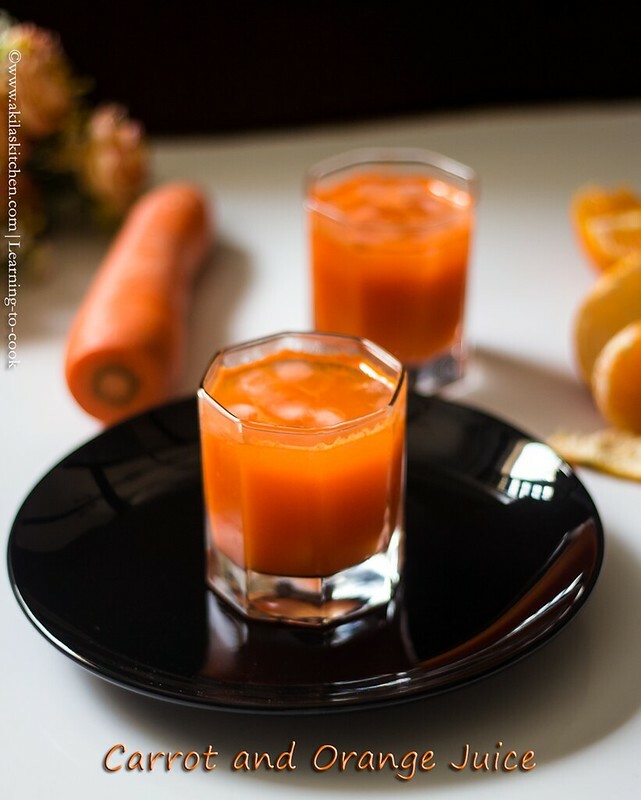 Cut the carrots, ginger and oranges and blend them together with 1 cup of water. Filter them with the strainer. Add sugar and mix it. Serve it with ice cubes. Tasty and healthy Juice is ready to have for this summer. 1. You can add a small piece of ginger if your like. 2. I feel adding sugar reduces the original taste. But if you like you can add it. 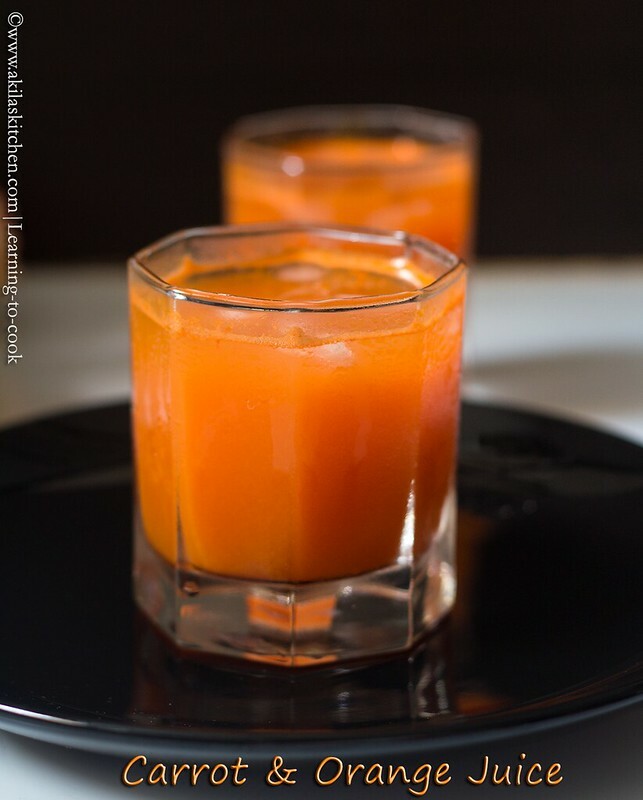 Healthy and delicious juice. very nice clicks. 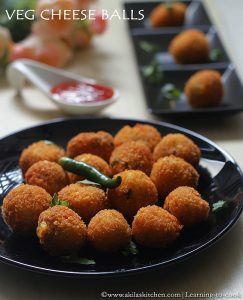 even though d recipe is simple ur pics tempting me.. I also love that bit of ginger tinge inside. Much needed over here; to cool and quench our thirst from the burning heat. this is one of the most fav and refreshing drink famous in our house since my childhood 🙂 lovely drink you have shared !